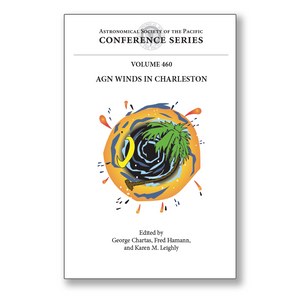 These are the proceedings of the international conference "AGN Winds in Charleston" organized by the College of Charleston. The goal of the AGN Winds in Charleston conference was to bring together investigators who research the physical characteristics and broader evolutionary context of AGN accretion disk winds. The meeting hosted 98 participants from 13 countries. The program consisted of 47 talks and 39 poster papers. (4) Feedback, Evolution and Galaxy Scale Environments. It has been six years since the "AGN winds in the Caribbean" conference dedicated to AGN outflows was held. Many interesting results based on theoretical insights and observations from X-ray through far-infrared wavelengths have been obtained since then. This book presents an overview of the relevant results and progress made in the last six years, and is of interest to researchers in a wide range of extragalactic astronomy topics.